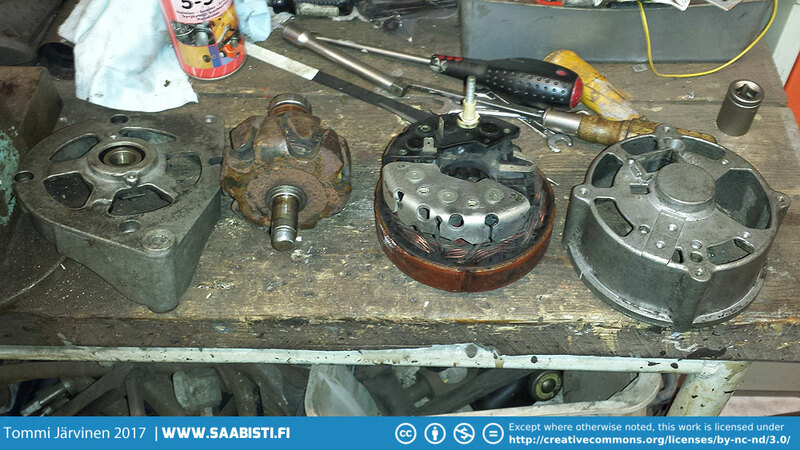 The Saab 99 Turbo alternator needed some help. Previous imageOriginally the alternator had an ugly blue voltage regulator. I changed it for an older black one that looked nicer. Next imageAlso the starter needed to be cleaned and restored.